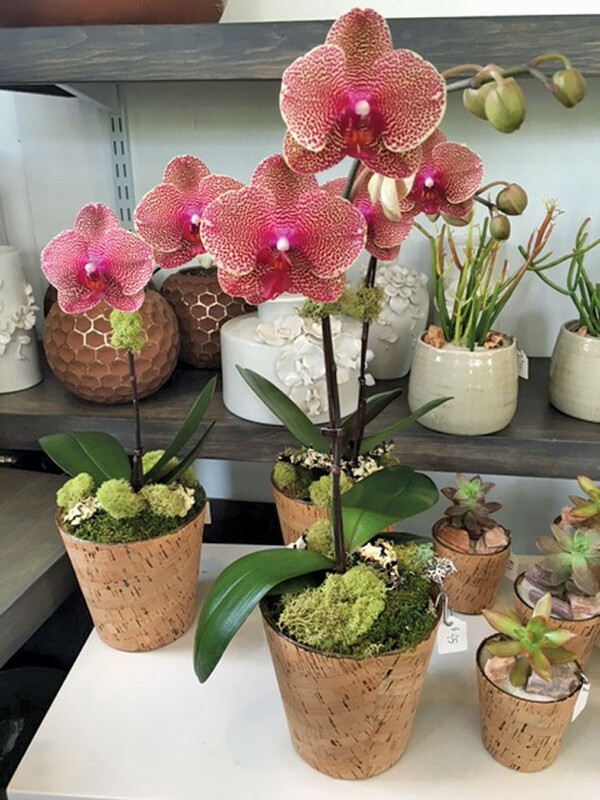 Whether you're looking for a gift for someone else, or a new plant to brighten up your living space, check out Orchid Dynasty in the 9th and 9th shopping district. In business for 15 years, the shop offers floral arrangements for events from weddings to funerals to graduation ceremonies, as well as live plants you can nurture yourself in your home or office. Co-owned by couple Clinton Lewis and Shelly Huynh, the shop is the perfect place to find the perfect plant. Lewis focuses on plants while Huynh is an expert on floral design. Lewis believes the combination of skills is perfect for the business and its customers. "Typical florists don't know about plants," he says. "We know everything about what we grow and offer, inside and out." The couple is committed to quality and a good price point, as well as a unique eye for design and a thorough knowledge of their plant products. The American Institute of Floral Designers (AIFD), an internationally recognized organization, offers certifications that are the equivalent of a master's degree for florists. Most floral shops don't even have one AIFD on staff, but Orchid Dynasty has two. "I love the variety of flowers that we carry," employee Tracy Barlow says. She is a designer and one of the store's certificate holders. "The products are very untraditional, very unconventional." Huynh is also AIFD certified and she loves the experience of working at and co-owning the shop. "We do everything, from wedding to sympathy," she says. And because the shop has a floral design studio on-site, as well as a showroom for customers, you can rest assured that your flowers will be fresh when you buy them. Lewis says that one thing that makes working at the shop so fun is that the diversity in flowers and plants is endless. "We get new things in every week, and the plants are seasonal, so [our inventory] is constantly changing," he says. In addition to having the finest flowers and plants, they also offer unique containers—from copper planters to blown glass vases and more. "We put a lot of effort into sourcing containers," Clinton says. Lewis' favorite part of running the business is the interaction with customers. "I love showing people what can be grown and how to grow it," he says. He has a deep passion for what he does, as well as the exotic plants he is able to grow and share with others. Orchid cultivators are the largest hobbyist group in America, with tens of thousands of enthusiasts trying their hands at making the beautiful bloom grow. If you're looking to try your hand at keeping orchids, check out Orchid Dynasty's beautiful greenhouse, with flowers blooming from all over the world.